RALEIGH -- Peter Foley is giving up a comfortable life as a name partner in a Raleigh law firm for two years of subsistence wages. The 51-year-old Foley left Feb. 1 and will spend the next 27 months in the Ukraine as a Peace Corps volunteer. Foley, who worked for 23 years for the firm now known as Ragsdale, Liggett & Foley, is uncertain about the specifics of his assignment. In an interview three days before leaving Raleigh, he said he suspects that he will teach business principles to high school or college students in Kiev, Odessa or another major Ukranian city. "The general knowledge of Western business is very rudimentary," Foley said. "These people are from a collectivist society." Foley, who concentrates his practice in business litigation, had thought for some time about doing charity work. This was a good time to step back personally and professionally, he said. "It's time for a break," he said. "I'm a product of the 1960s. I've always had an appreciation for what the Peace Corps is about." Foley's 40-member group will spend three months in language and cultural training before being deployed. All he knows about his fellow group members is that there is one other lawyer -- and that he's not the oldest in the group. Ragsdale Liggett, which has 12 attorneys, has hired Foley's replacement, Jim Hoffman, who worked at McGuire Woods Battle & Boothe in northern Virginia. Partner Frank Liggett said the firm is unsure if it will change its name. At a send-off lunch, the firm armed Foley with a survival box filled with toilet paper, ibuprofen, canned sausage and long underwear. He may need it. 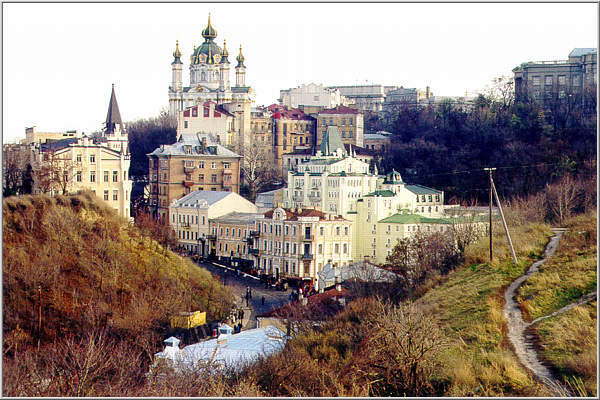 The Peace Corps requires volunteers to maintain the same standard of living as an average Ukranian, meaning he likely will end up living in a small apartment. "He's got a lot more guts than I do," Liggett said. "I understand it's quite competitive to obtain appointments of this sort. ... We're proud of Peter and respect what he's doing even though we kind of hoped for failure (of his application)." I just graduated from law school and have been accepted to enter the Master's International program studying International Health & Development (focus on HIV/AIDS) and would like to find a placement that will utilize both my health and legal studies. Do you have any recommendations, tips, advice? Is there a way I can get in contact with Mr. Foley? I will be leaving for the Ukraine in February 2004, and want to contact Mr.Foley to discuss his progress and get his opinion on his PeaceCorps project. Any email address or contact info would be appreciated. Requires perfect information and procedure for importing Medicine and Raw material in Ukraine . Require detail in english the total procedure of registration and steps and process after reaching medicine to Ukraine port. Services will be reembressed . i would like to contact you for consultant about my case in Ukraine. Please tell me how i can contact you. I have just been invited to travel to Ukraine as a peace corp member. I'm 23 and I am black.. I would love to start a dialouge with you.